There are many different methods you may use to save money around the house. From turning the heat or AC off while you are gone, to turning off lights in rooms that are not in use, there are many different ways to save a few extra bucks from month to month. 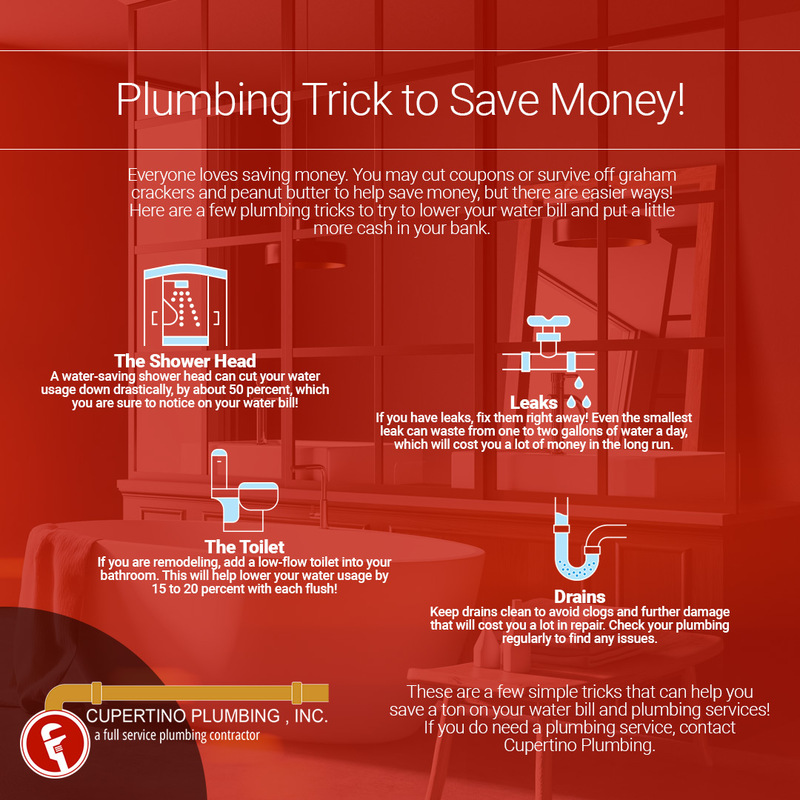 Since Cupertino Plumbing is full of plumbing experts, we figured we would give you some plumbing tricks to help you save some money! If you want to learn some ways to save a few extra dollars, read on! Leaks may seem innocent, but they will eat your money up faster than you would ever expect! A simple leak can waste a gallon or two of water per day. Unless you are not paying for your water, you will notice that spike on your next water bill. If you notice a leak, fix it yourself or have our team of professional plumbers do it for you! 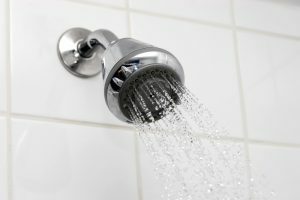 How can new shower heads help save you money? If you install new water-saving shower heads, you can use up to 50 percent less water! While it might not be as amazing as a massaging shower head, you can use all the money you save on a nice massage. When you install a water-saving shower head, you will notice the difference in your water bill. This may be a pricey switch that may not be worth it right away, but if you are remodeling your bathroom, choosing low-flow toilets can help save you money. The average toilet uses six liters of water per flush, a low-flow toilet uses about 4.8 liters. These toilets are meant to reduce water usages by 15 to 20 percent each flush. While it may seem small, you will notice a big difference on your next water bill. When you allow food debris, hair, and other items to go down your drains, you are likely to run into a clog. Clogs can cause backups and clogged pipes are more prone to breaking. By keeping your drains clean, you can avoid further issues which will cause you more money in the long run. Another way to save money through your plumbing is to take preventive measures. Be sure to take a look at your pipes, water meters, and anything else once a month or every few months. If you notice a problem, have it fixed right away. Leaving problems unattended could cause bigger problems and more damage. Get it fixed fast and save yourself money in the long run. If you notice an issue with your plumbing, the team at Cupertino Plumbing in San Jose can help! Our plumbing experts offer a variety of services to help you when you need it most. You can get a free estimate to have our experts check out your plumbing system and ensure there are no serious issues. 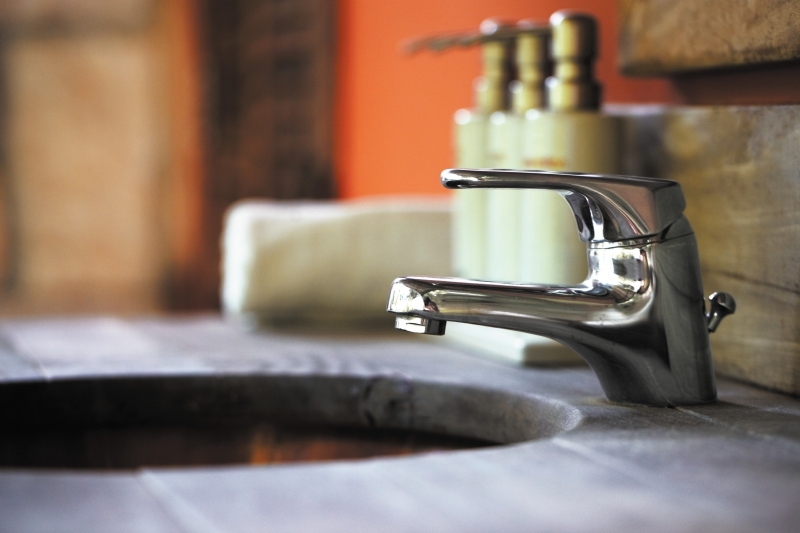 Start saving money on your water bill and plumbing repairs by following these plumbing tricks. If you ever do need plumbing services in the San Jose area, contact Cupertino Plumbing. We are happy to help!